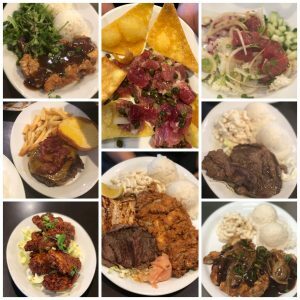 A range of food options at Kīhei Bar & Grill, now open in the Pi‘ilani Village Shopping Center. Courtesy photo. 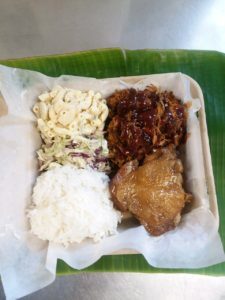 If you’d like a serving of local music with your local food, there’s a new place in Kīhei that satisfies both! Speaking of flavor, the menu has plenty of options. A few classic favorites like ribs and the triple-prime patty will remain from the restaurant’s former incarnation as Ruby Tuesday. 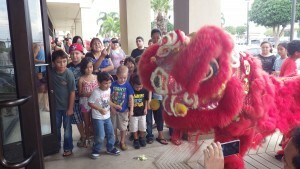 But most of the menu features local dishes. Ipu among the musical decor at Kīhei Bar & Grill. Photo by Kiaora Bohlool. Mixed plate with fish, chicken, teriyaki beef, rice and mac salad at Kīhei Bar & Grill. Photo by Kiaora Bohlool. 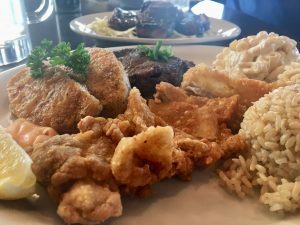 Kīhei Bar & Grill features local plate lunch in the Pi‘ilani Village Shopping Center. 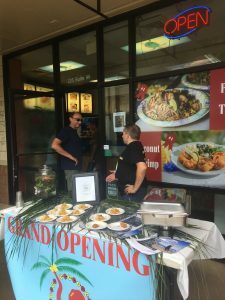 Nakashima brought Ruby Tuesday to O‘ahu 15 years ago, and after having the Kīhei location for seven years, decided to re-brand and do something different in design, vibe and cuisine. 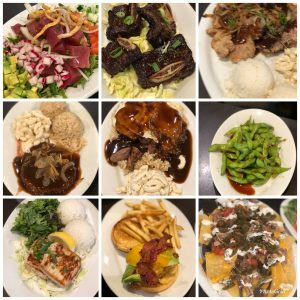 So Kīhei Bar & Grill features a fast-casual style where diners order up front, then have food delivered at booths and tables. Music is also a huge component of Kīhei Bar & Grill. 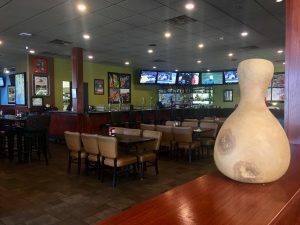 Along with its musical-themed decor, the restaurant features a plug-and-play stage for performers, live music five nights a week, a hospitality night with karaoke on Wednesdays and a family fun night with singing on Sundays. 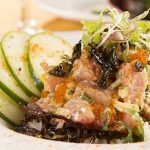 With the tagline, “So Ono, Soo Pono,” Kīhei Bar & Grill officially begins its journey with a grand opening celebration on Thursday, Jan. 24 from 4 to 6 p.m., welcoming locals and visitors alike. 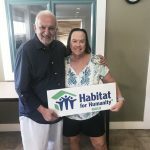 From that point on, the restaurant will be open daily for lunch and dinner from 11 a.m. to 11 p.m. (10 p.m. on Sundays), with happy hour from 3 to 6 p.m.